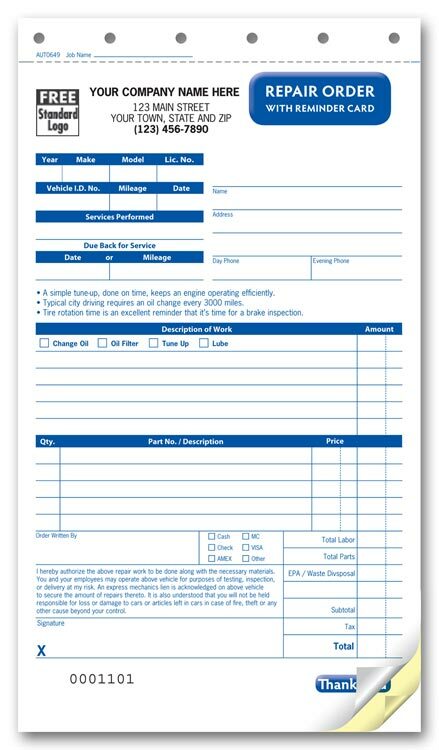 Small engine repair form, quick to fill out gives you room to summarize labor, list parts, quantities, costs and more. Detachable reminder card on top of last copy to help build repeat business and cut down on missed appointments! . Last part is durable tag stock. Form size is: 5-2/3" x 9-7/8"